The delivery rates are the same for all of Australia. All orders are dispatched ASAP. For a more precise estimated time with Australia Post, please use the Australia Post mail delivery time calculator. 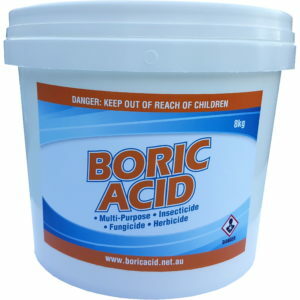 We ship from postcode Chadstone (3148). Unfortunately we only ship to Australia. 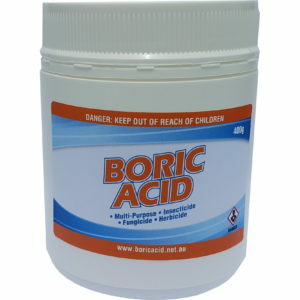 We recommend you visit the boric acid section in Amazon.com if you are based in the USA or other parts of the world. 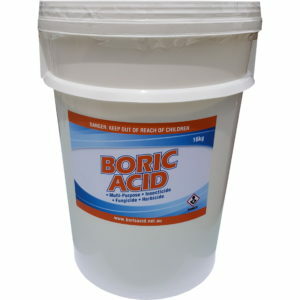 Can you leave my boric acid delivery by the door if I’m not home? Some of our smaller items (e.g. 400g) will fit into your letter box, but the larger ones sometimes don’t. In this instance the freight agent will drop the item off at your local collection point for you to collect. We understand that getting to your local Post Office during the week is difficult which is why we recommend registering for an Australia Post Parcel Locker. These are similar to post office boxes, but so much better. You get your own personal address, 24/7 access to your mail, can accept large parcels and are free! I don’t have my item. What should I do? The first thing to do is refer to the tracking information which has been emailed to you. Use Australia Posts parcel tracking website to get the details of your item. I don’t have a tracking number. If your item is via Australia Post, you should have received a email from Australia Post with the link to your tracking. If your item is via Courier, you should have received an email from us with a link to your tracking. Be sure to check your spam folder as sometimes the emails end up there. 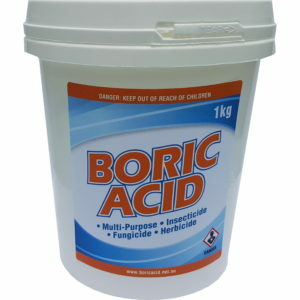 If you can’t find it, please contact us at sales@boricacid.net.au and we’ll look into it for you. My item is registered as “delivered” but I don’t have it. 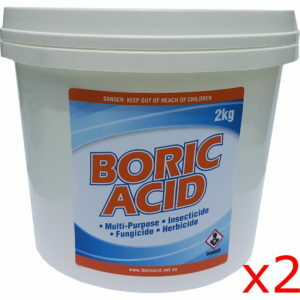 Please contact us at sales@boricacid.net.au and we’ll look into it for you. My item is late. What should I do? If your item is via Australia Post, check the estimated delivery times for your post code on Australia Posts website. We ship from Chadstone (3148). If it’s late let us know and we can submit an enquiry for you. Australia Post usually responds within 24 hours. 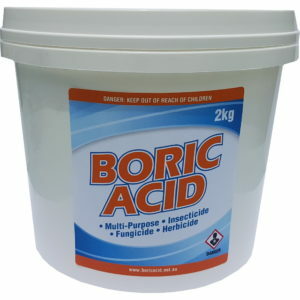 If your item is via Courier, please email us at sales@boricacid.net.au and we’ll look into it for you. What if my item is “Returned to sender”? If your item is returned to us, a re-delivery fee may apply. A fee may apply in circumstances where an incorrect address has been supplied or the item isn’t collected. This is not a charge we benefit from, the fees are on-charged from the individual freight carriers to us. The re-delivery fee will be on-forwarded to release the goods for a second delivery attempt.